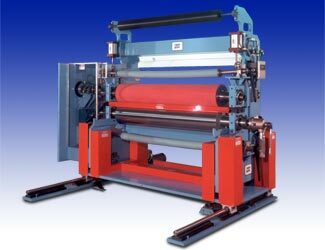 New Era can provide you with a laminating system engineered around your pressure, temperature, width and configuration requirements. From low pressure, narrow width, ambient temperature nips to high pressure, high temperature, wide width applications, New Era can provided you with the proper equipment for your application. New Era embossing equipment is custom engineered to meet your process requirements. Our experience with a wide variety of embossing methods and processes goes into the design of every embossing system we provide. Look to New Era to provide you with a calendering designed to meet your process requirements. With experience in a wide variety of applications, our experts have the knowledge you can rely on when developing your process. New Era takes great pride in engineering a solution for your specific web handling needs. Whether you are simply combining two webs, or doing a multi-layer, high temperature and pressure embossed lamination, New Era will provide you with equipment you can rely on.